Learn more about different cabinets offered at A Plus Warehouse. 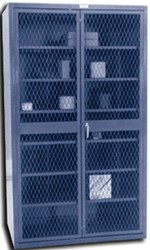 The See Though Cabinet with Expanded Metal Doors is a unique product. It has always been a customer favorite. This product falls under A Plus Warehouse’s metal cabinet section. A Plus Warehouse specializes in the distribution of metal cabinets. A Plus Warehouse stocks a large variety of metal cabinets with capacities up to 1,900 pounds per shelf. Not many other dealers offer capacities this large. 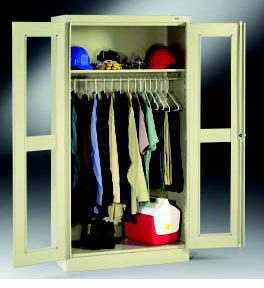 If a customer is looking for am inexpensive option for heavy duty cabinets, metal is the way to go. 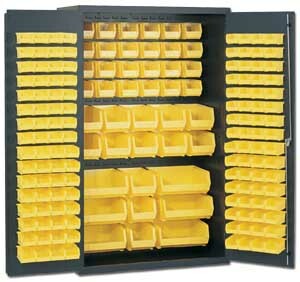 Today’s product of the day is considered an heavy duty cabinet. Heavy duty shelving is anything with a capacity of 1,000 per shelf and beyond. 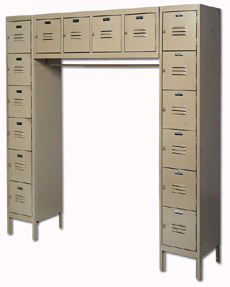 A Plus Warehouse’s heavy duty metal cabinet line features six items including the product of the day. These items include Economy Heavy Duty Metal Set Up Cabinet, Extra Wide Lynons Steel Cabinet, Heavy Duty Metal Stroage Cabinet, Lynon Deluxe Metal Jumbo Storage Cabinet, See Through Steel Storage Cabinets, and See Through Cabinet with Expanded Metal Doors, todays product of the day. These cabinets are often used by the military or any other industry when medium duty is just not enough. Every customer has different needs. This is also a reason A Plus Warehouse offers such a wide array of products. The See Through Cabinet with Expanded Metal Doors is pictured to the right. This item features expanded metal for easy content identification. When seeing inventory is needed, this cabinet is highly suggested. This item has always been a customer favorite, and A Plus Warehouse hopes more customers learn the magic of this cabinet. This cabinet also is in stock for immediate delivery. Customers should order theirs today. A Plus Warehouse is the operator of http://www.apluswhs.com and distributes materials handling and storage equipment nationwide and throughout Canada. The sales staff at A Plus Warehouse is available at 800-209-8798. A Plus Warehouse has been in constant operation since 1996.